Bacardi: The Original Mojito Since 1862? Permit me to nerd out for a moment. 1. Ok, I really dig the song. 3. “Since 1862, the best mojitos have always been made the same way.” Mojitos…in 1862? When I saw this commercial for the first time during the Daily Show last night, I was hard pressed to believe mojitos had been around since 1862. Not only have I never come across a mojito recipe, they aren’t similar to anything else imbibed at that time. Except, perhaps, their distant cousin, the mint julep. I first checked with our old friend Jerry Thomas (who’s book was coincidentally published in 1862.) Not a mojito to be found. I began to scour the internets. So while a combination of ingredients similar to the mojito existed, in the 19th c. it was being drunk by the Cuban working class. 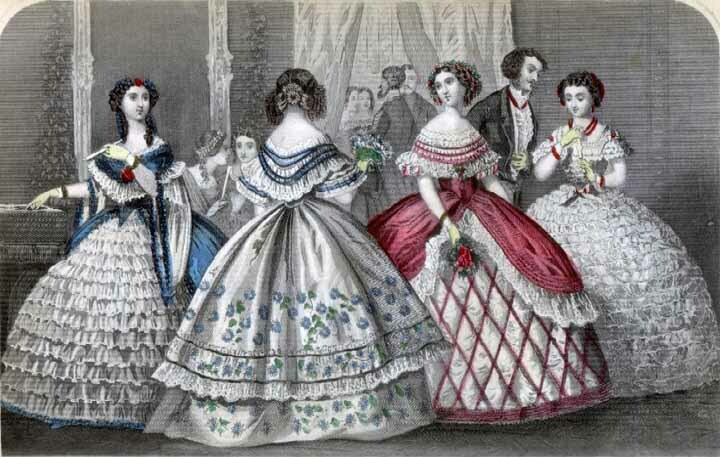 Definitely not Victorian tarts in spangly dresses. I’ve also read that “The earliest “mojito” recipes…found are from 1931 and 1936 editions of a Sloppy Joe’s Bar Manual.” Sloppy Joe’s was a famous bar in Cuba, where Hemingway apparently popularized the drink. Bacardi was founded in Cuba, and it was known for refining what was a previously unrefined drink. Rum was a dark pungent spirit; Bacardi classed it up by running it through a charcoal filter, creating a much lighter liqour appropriate for swanky bars. And perhaps that’s what happened to the Mojito; it transformed from the rugged El Draque, to the gentile Mojito with the creation of Bacardi Rum. P.S–Nothing personal against mojitos. They’re delicious. Thank you for the research! I’m posting something this week after some confusing marketing material I found in puerto rico. I’m digging into this history — I find it fascinating! Check out the post at http://www.eatdrinkandbeskinny.com! Clinic registered nutritionist Katherine Zaretsky. way to the maintenance phase of your HCG diet and concerned about gaining back any weight.